Autobianchi Car Manuals PDF are above the page. AUTOBIANCHI is considered to be the successor of the well-known engineering company in the past, "Bianchi", founded at the end of the last century. After the war, for the production of passenger cars in the village of Desire, near Milan, built a new plant, the new company "AUTOBIANCHI" with a capital of 3 million lire was formed on the basis of which the January 11, 1955. It was the collective property of the company, "Bianchi" automotive group Fiat and tire company "Pirelli". Each companion belonged to one third "Autobiachi". Start of activities "AUTOBIANCHI" refers to 1957, when the company first announced itself subcompact car "Bianchini", which began mass production next year. This event led to financial complications, and the firm "Bianchi" was forced to cede its share of the other two participants. Miniature "Bianchini" brought a new firm success, although from a technical point of view was an analogue of the popular Fiat 500. In the first year we produced 11 thousand cars. Six years, all production was held at "Bianchini" and its variants, but the demand for such a minicar in the mid-60s began to fall sharply. 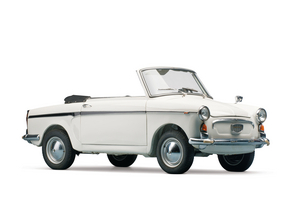 At the end of 1964 there was the original front-wheel "Primula", the car of higher class with a transverse engine. A year later, it was added to the coupe. In various versions, "Primula" was produced until 1970. He remained unfulfilled project Stel-lina - a kind of development zadnemotornyh cars Fiat (Manuals page) 6000 and Fiat 850 with a plastic body. Unattractive appearance and low power motor shut down this machine the way to the market. Full accession "AUTOBIANCHI" to FIAT took place in 1967, and all its subsequent products are technically closely related to various car of his master. In 1969 there was a sedan "A-111" small class with front-wheel drive. The basis of his engine was the Fiat 1245. 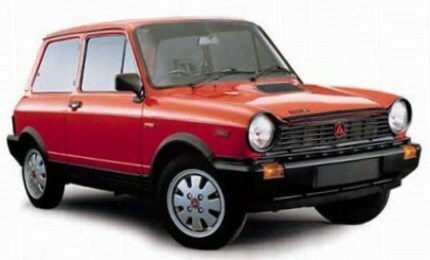 A few months later, production was launched the most famous model "A-112", is technically identical to the Fiat-127. It is equipped with engine capacity of 903 and 1,050 cm3 and was produced for 15 years. In the meantime, part of the FIAT entered firm "Lancia" (PDF Manuals page)), and it was decided to join her company "AUTOBIANCHI" in 1975. In 1985 at the Geneva Motor Show unveiled a new "AUTOBIANCHI Y-10" - a three-door front-drive compact car produced with engines of 999; 1108; 1297 or 1301 cm3 capacity of 45-78 hp and having had a front-wheel drive and all-wheel drive. In recent years he was offered at the same time under the brands "AUTOBIANCHI" and "Lancia". The name "AUTOBIANCHI" disappeared after the replacement of the car in 1996 to a more modern "Lancia Ypsilon", which represents an improved performance of the model "Y-10" with a more original form of the body. "Bianchini", was first introduced in September 1957 and went on sale a few months later. Technically, it was the sister of the famous Fiat 500 minicar. Its two-cylinder air-cooled engine in the 479 cm3 was placed behind and developed the first 15, then 17.5 hp The car had a two-door, painted in two colors with a body trunk in the front. On the basis of "Bianchini" released a few options: "Special", "Panoramica", a convertible and a small truck. "Primrose" can be considered as the only original design "Autobianchi" a very bold design solutions. Its engine was upgraded Fiat-HOOD, but front-wheel drive design, "Primrose" was later used FIAT in their cars. Inspired by Alec Issigonis created minicar "Mini" designers "AUTOBIANCHI" applied to his model 4-cylinder engine and two-volume cross-arrangement body for 4-5 places, quite original for its time. All 4 wheel disc brakes were, which was rare at the time, especially for small cars. Despite the strong competition in the small class "A-112" has quickly gained its customers, especially the young. By the end of 1976, half a million machines of this series were produced. In subsequent years, the "A-112" has undergone numerous cosmetic surgery. It was produced with the version in the three-volume body, in a special youth performance "Junior" in a comfortable "Elegant" with electronic ignition (1979) and "the LX" improved finish. Sports career "A-112" was quite eventful. Special versions with an engine capacity of 70 hp, prepared on the "Abarth" and received the name Championat, no one time participated and won in major international rally. "A-112" laid the technical and design base for future models "AUTOBIANCHI the Y," and the modern "Lancia Ypsilon".